Students get Gio & Rusty on April Fools! 04-07 Friends & Family Nite Rhythm Club All-Stars, Bring New Guest FREE! We got you, you got us! My little Polka April Fools got quite a lot of you - hee hee. But you got even in class Thursday, April 1st! First, a group of girls came as "Gio's worst nightmare." Their hair was in braids with plastic ties on the ends. They wore gobs of hand lotion all the way up their arms. And they were sleeveless and backless tank tops. All of the above are on Gio's list of "please don't while you swing dance!" Then, not to be topped, I got zinged by Jamie England. As you know, I always request all cell phones turned off in class. Well, first a couple phones went off by mistake. But then, the Rebekah Lodge house phone range about every five minutes for an hour! 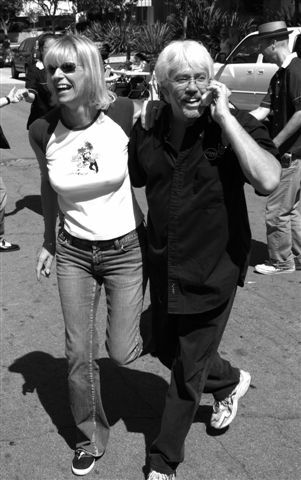 Turns out Jamie had it on auto-dial and kept punching "call." Everyone knew (even Gio) except me... 'cause Jamie told everyone as he rotated in class throughout the hour. 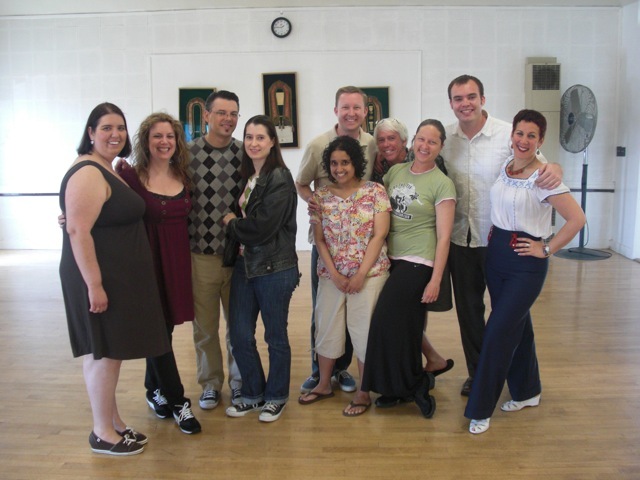 The first set of "Rusty's Rhythm Corps" are ready for you Wednesdays at Rusty's for the swing dance classes that'll be taking place from now on. Here they are pictured after their "Rusty Training Session." I'm terribly excited about this big new step, and I thank the group for their wonderful enthusiasm. 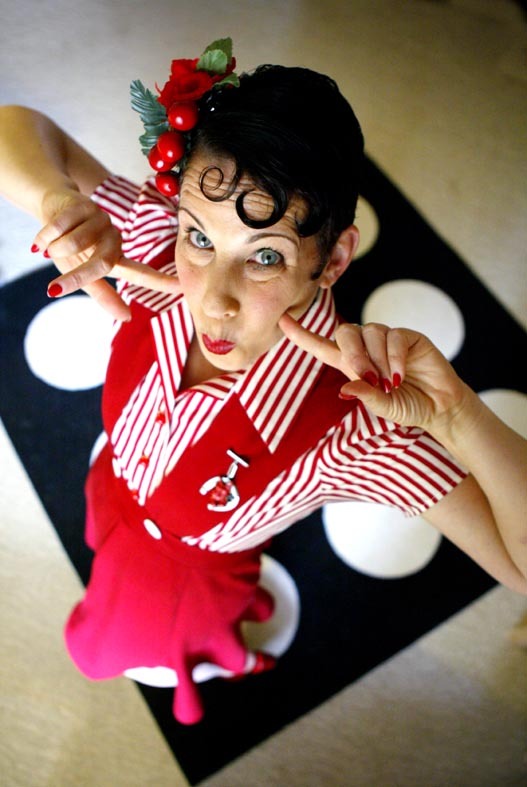 We've got our 1940's Nite coming up in a few weeks at Rusty's with The Fabulous Esquires "Glenn Miller Tribute." More to come... but thought you might want to get some dress ideas by taking a look at our Clip of the Week. Besides, it's a super swell song! One of my favs! Brush up on your baics in Lindy 1-3 and pay only $10 for each series. 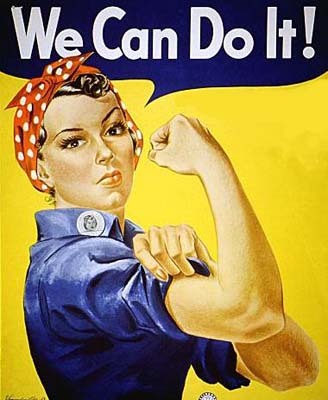 THE FOUR VAGABONDS SING "ROSIE THE RIVETER"
This week's clip is the song "Rosie The Riveter." To whom was this song referring? This is a hard one! I challenge all our music buffs! What is the song that The Killer Dillers are dancing to in the Clip of the Week? And for extra points, and a big hand shake and hug from Rusty, who is singing it? 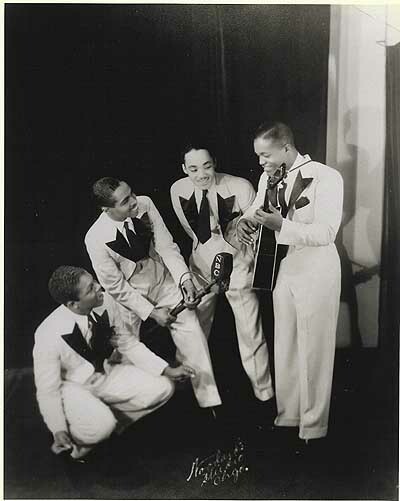 Black Vocal Harmony Groups of the 1930s and 1940s Indiana Public Media has a media page for those fans (and soon to be fans) of Spirits of Rhythm, Golden Gate Quarter, Mills Brothers, an more! You might also want to go HERE and listen to a special broadcast honoring Black V ocal Groups of he 1930s and 1940s. 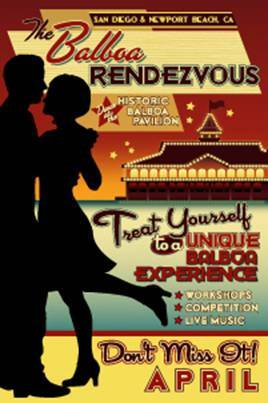 BALBOA RENDEZVOUS - DON'T MISS IT!! A great Balboa experience is a weekend away. You really won't want to miss it. Loads of us will be there. Email Joel Plys, and mention "Rusty sent me...", you might just get a little discount!